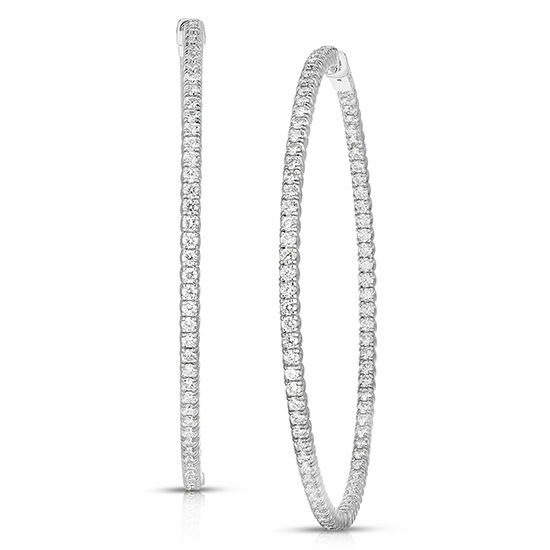 These beautiful hoop earrings contain a total of 166 round brilliant diamonds for a total diamond weight of 5 carats. Each diamond is set with four prongs in 14k white gold. Available for purchase in store and online.